Out-of-town guests. Sunday brunch at Hoku’s (The Kahala Hotel & Resort, 5000 Kahala Avenue, Honolulu, Hawaii). I’ve posted about this place a couple of times (so I won’t bore you with repeats). 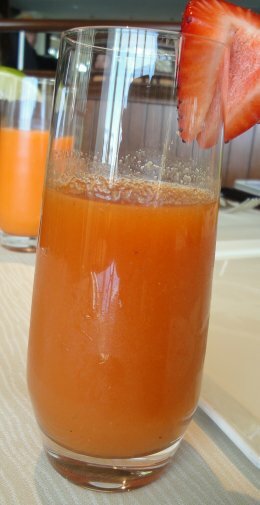 Just some juices that are offered to start the brunch. Good combination, cool and sweet. Another good combination. Veggie with a bit of a bite. 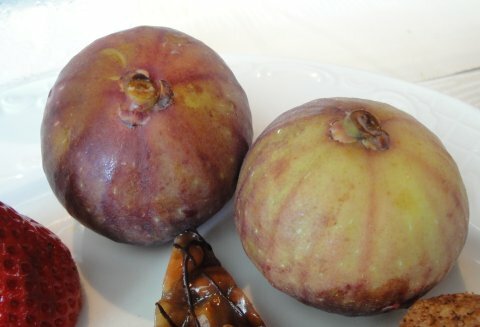 BTW, the buffet line had fresh figs. 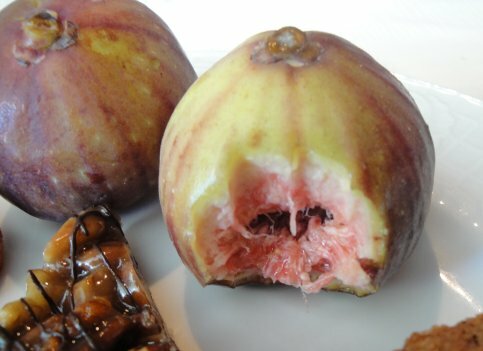 I’ve never seen (much less tasted) a fresh fig before. A new experience. Closest thing to figs were dried figs and Fig Newtons. I prefer Fig Newtons first and dried figs second before fresh figs. Oh well, at least I dried them. Made by the Tibet Tibetan Medicine Group Co., Ltd. Supposed to be most effective when taken at the start of a cold. So far it’s worked. 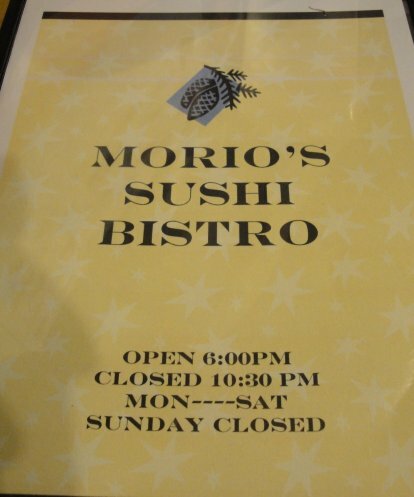 In the previous post, noted the owner of Morio’s Sushi Bistro (1160-A South King Street) likes his liquor. I was advised “if you want to eat, go early, if you want to drink, go late.” As the night goes on, the atmosphere could get loud and raunchy. We listened. Last night, our reservation was for the first seating at 6:00. Dinner started out with complimentary salad and appetizer. 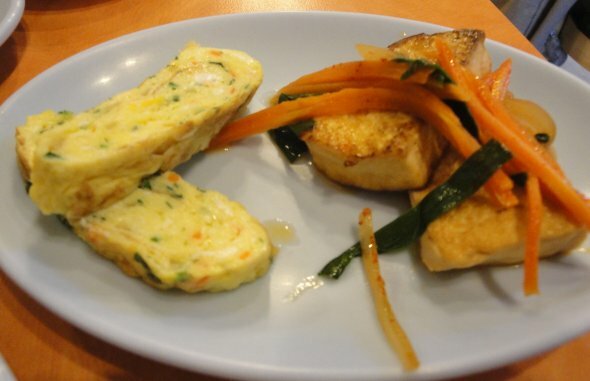 On the left, egg omelet, on the right, marinated tofu. 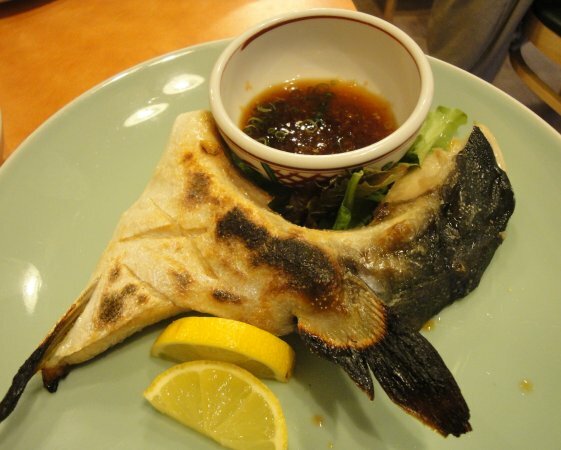 Going to izakaya can be a challenge to The Cat (not enough veggies). 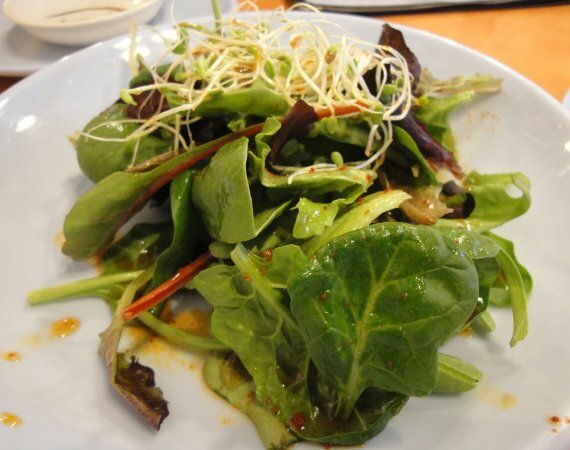 We started with yamaimo salad. For The Cat, it was serious like at first bite. 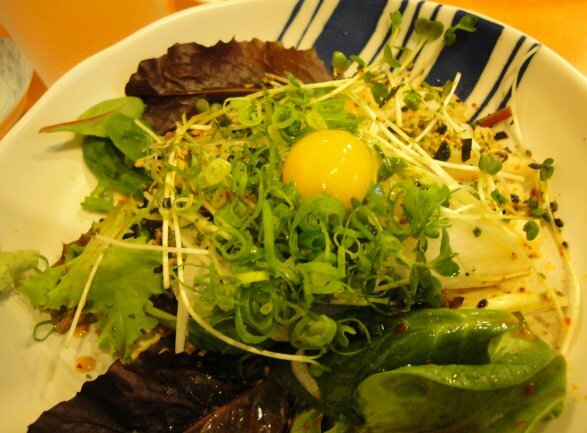 The quail egg becomes part of the salad dressing and adds stickiness to the already slightly sticky texture of the yamaimo. 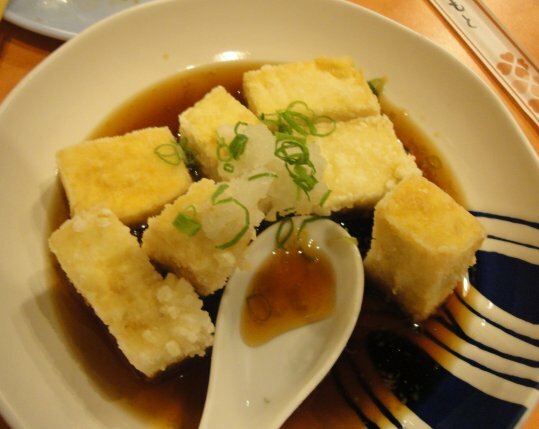 Perfectly deep-fried, bathed in a light broth, topped with spring onions and grated daikon. Simple yet oh so satisfying. Not too spicy (a good thing). Compliments of the chef. 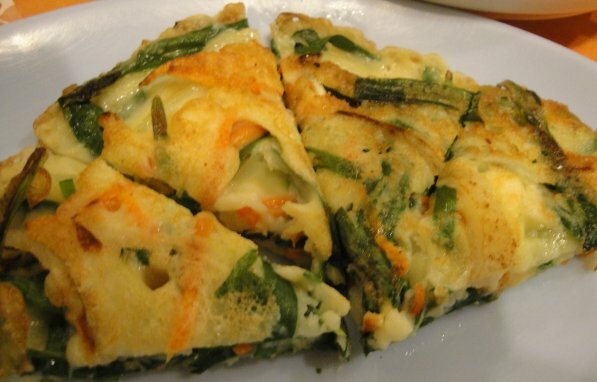 I think it was pajeon. The Cat is said “yum”. I’ve been curious about chirashi, sushi rice topped with various sushi and other delectable items for a little while now. Decided it was time to get my feet wet. Price was within the acceptable range. This was a pretty hefty bowl. 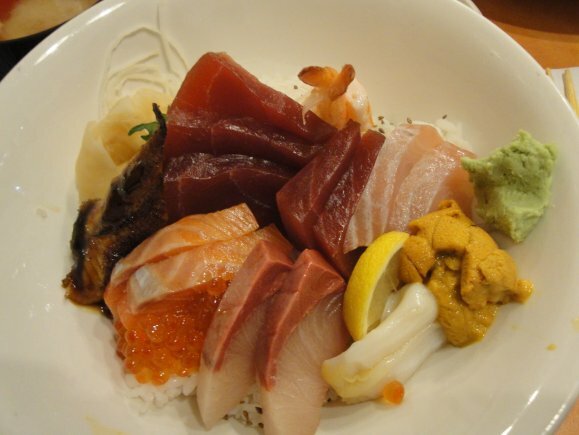 Nice selection of sashimi, unagi, uni, and ikura. I can now happily say I am no longer a chirashi virgin. 😉 I would definitely order again. Our last order is not on the menu. I asked for it in hushed tones. The server has to ask the chef if there’s any. 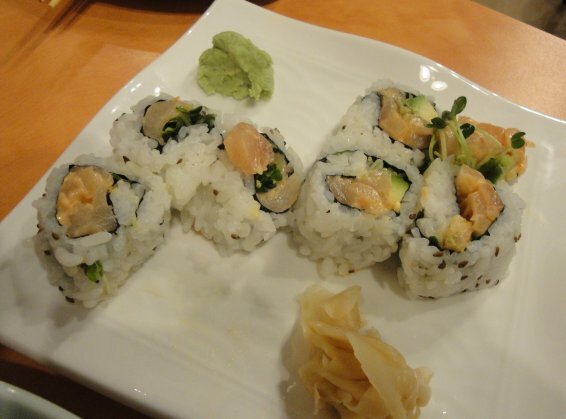 It looked like the chef was judging whether we were worthy (I’m kidding). A huge piece (largest I’ve seen), broiled, crispy skin, meat as smooth and soft as butter. 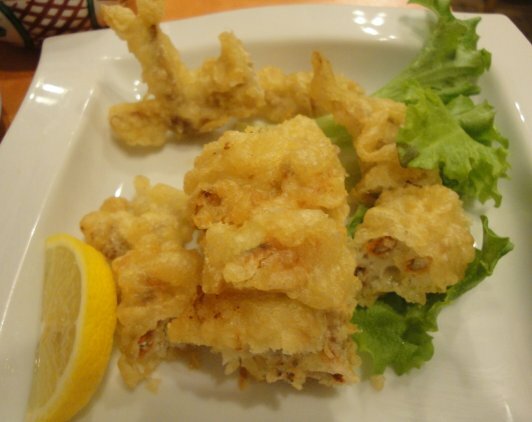 A moment of silence to thank the fish and the chef. The total bill, I won’t go into details, let’s just say we dropped a fifty (with tax and before tips) and got change back. The Cat was in awe. 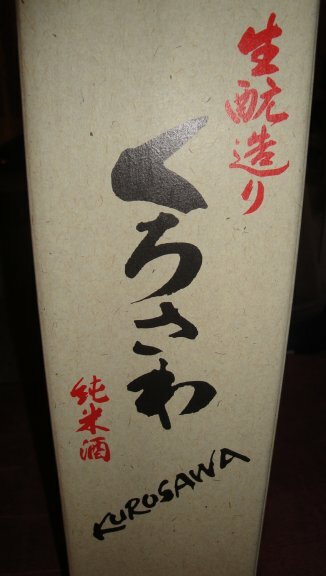 Yesterday I went to The Sake Shop and picked up a bottle. Nadine, the proprietress, knows Morio and assisted me in picking out an appropriate sake. Xie xie. She was very nice and put up with my newbie questions. I should have taken pictures of the shop (facepalm), my bad. Next time. Looking forward to tonight, barring any unforeseen circumstances. 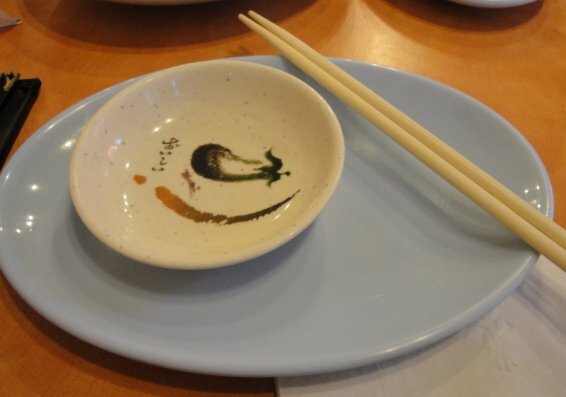 There are a couple of place in town that have similar characters (chefs); Sushi Izakaya Gaku (1329 South King Street, Honolulu, Hawaii) and Ah-Lang Restaurant (725 Kapiolani Boulevard, Honolulu, Hawaii) come to mind. Know of any more? This package was reduced to half price at the market. 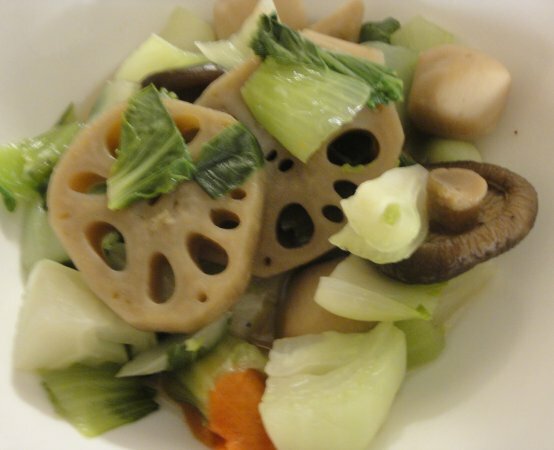 Nishime is a Japanese version of vegetable stew. Kind of like Chinese jai. Stripped down version, but at half price, I’m not complaining. 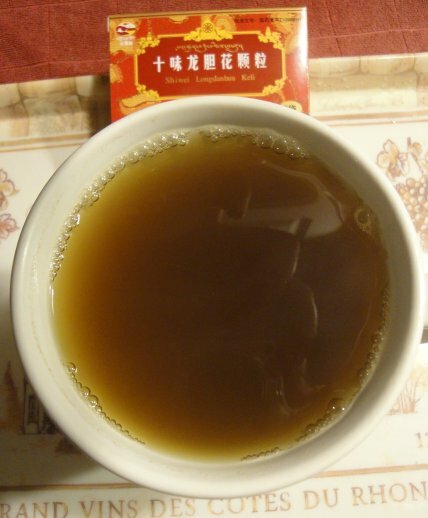 Mixed with Shanghai cabbage to give it a bit of color.